Matthew delivers more than weather. 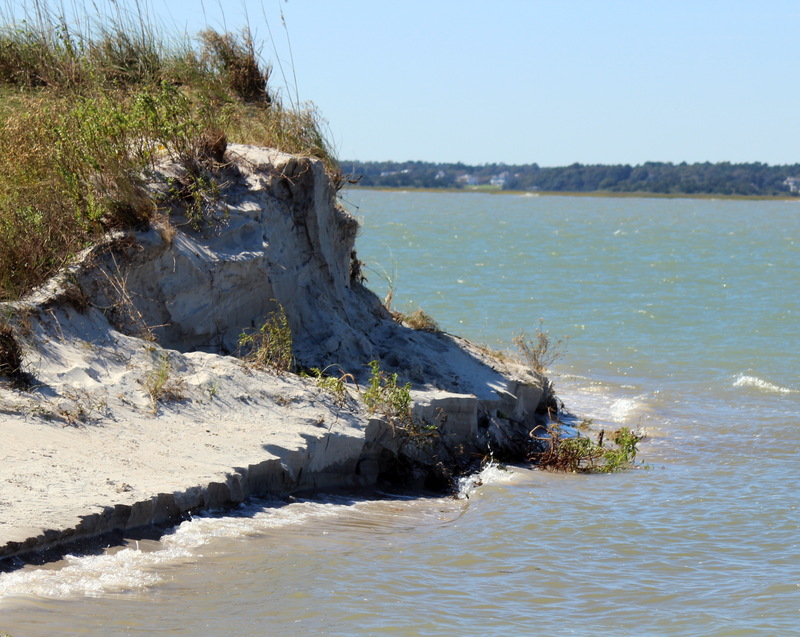 post-storm erosion at New Topsail Sound, ~3 hours before high tide. 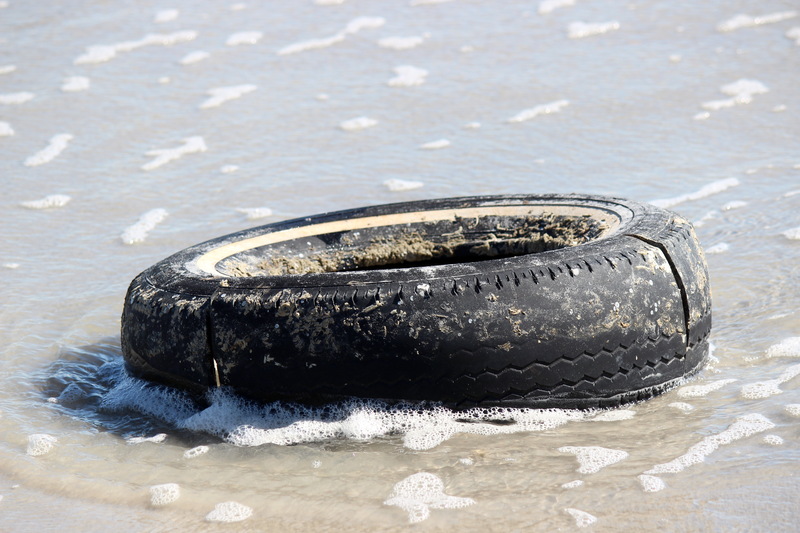 probably a local tire, but who knows? 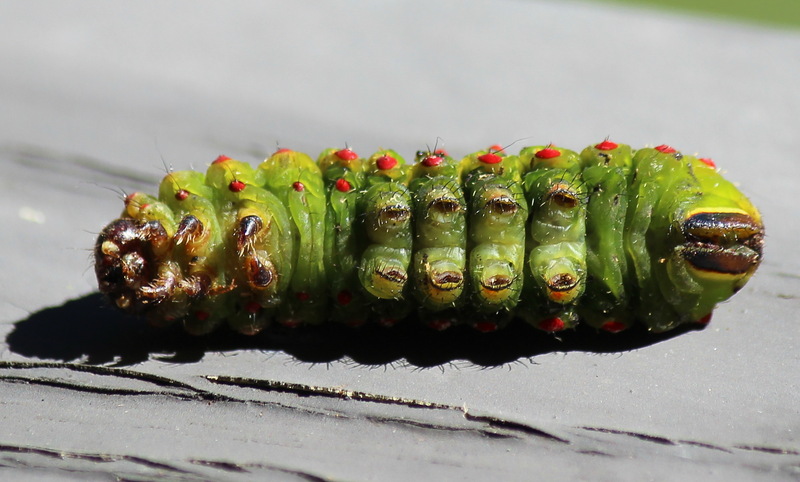 Luna Moth caterpillar – probably in some post-storm shock. Yes, it was still alive, but weak! Among the interesting things we found during clean-up efforts included a soggy Luna Moth caterpillar, which was clinging weakly to an upper branch of Sweetgum, Liquidambar styraciflua, that had snapped off in the storm. 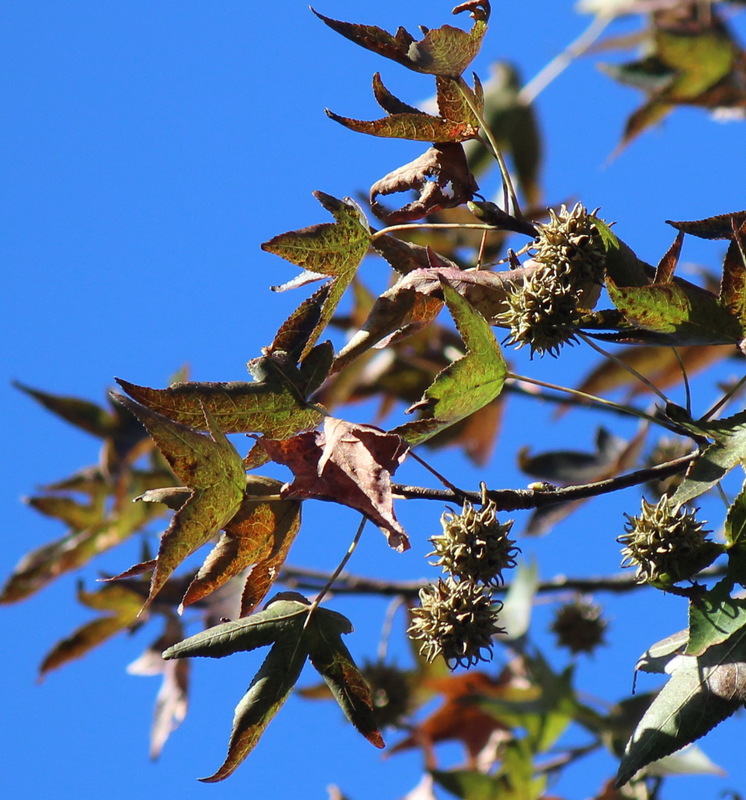 This tree is one of several larval host plants for the Luna Moth, including American Persimmon, Diospyros virginiana, Winged Sumac, Rhus copallina, and species in the Hickory, Carya genus. All of these are represented in our neighborhood, but the worst tree casualties around here seem to be lone Loblolly Pines, Pinus taeda, and Sweetgums. 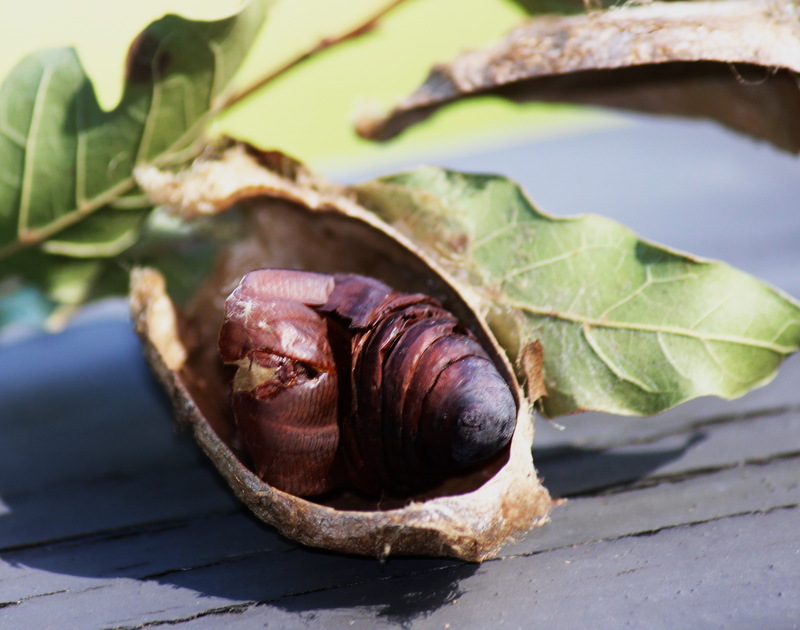 silk moth cocoon on seedling water oak, quercus nigra. 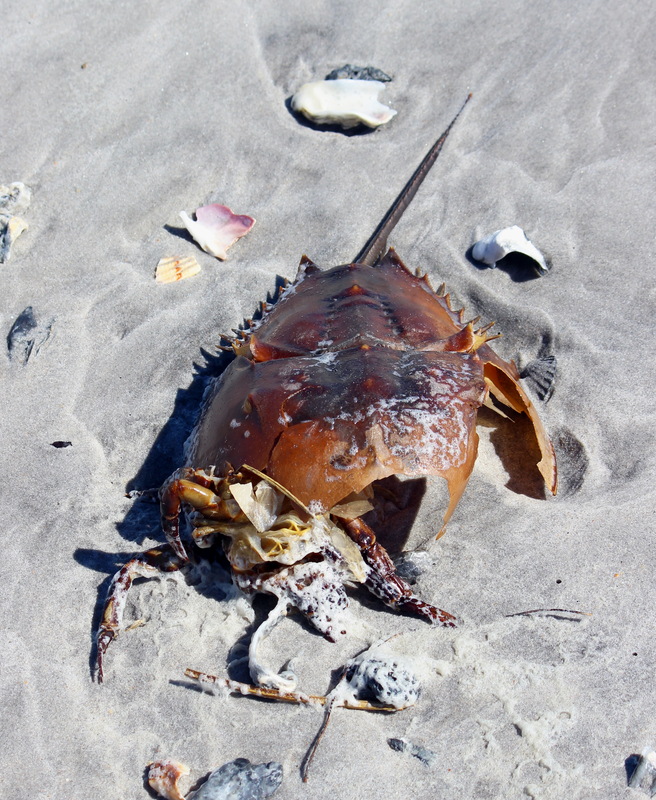 cut open to show exuviae – perhaps a Luna Moth? 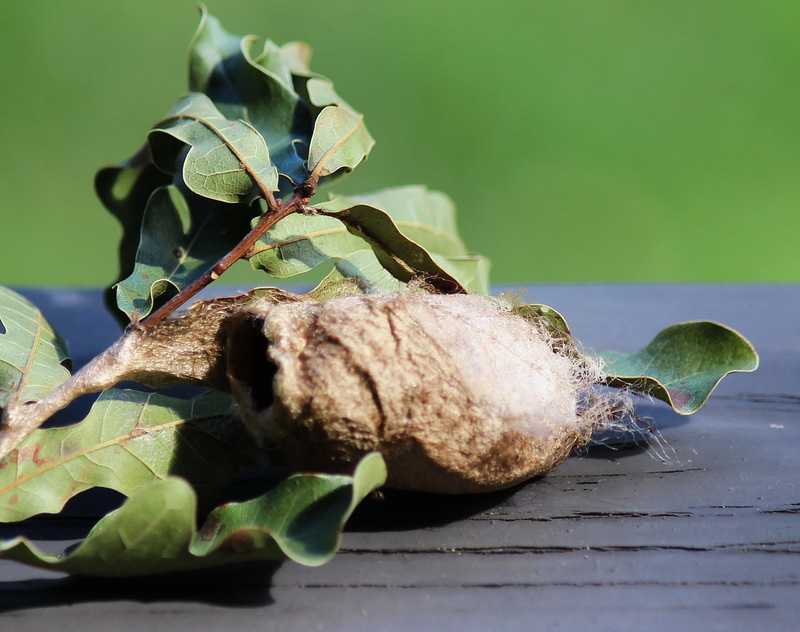 Several minutes later, while dragging more torn-up tree canopy to debris piles, we found an empty silk moth cocoon on a water oak twig, with the exuviae still intact. Could it be the cast-offs of the Luna Moth caterpillar we found earlier? 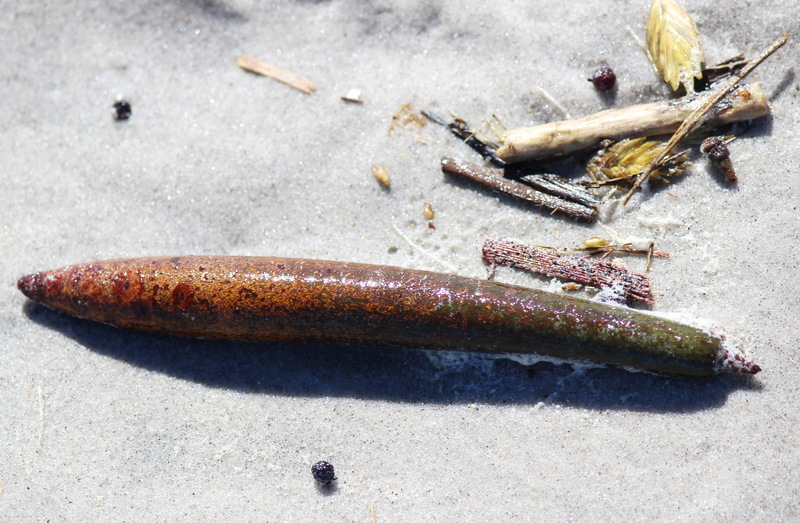 this Rhizophora mangle propagule had a long journey – this is a subtropical/tropical species. 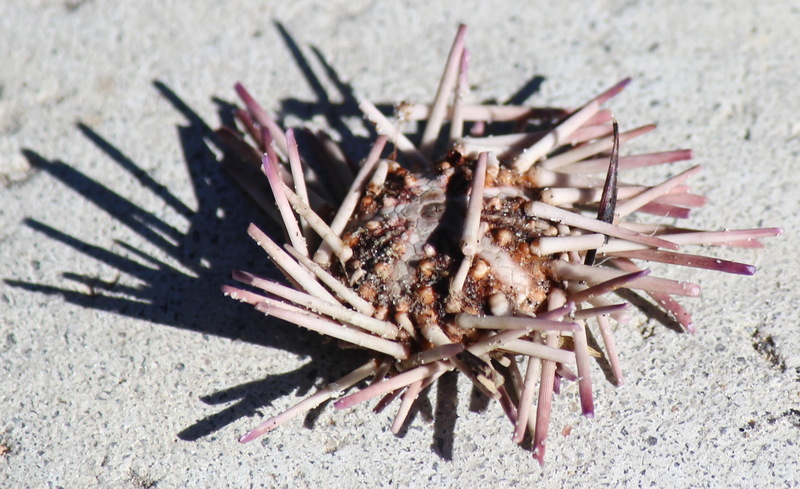 sea urchin, not sure what species. 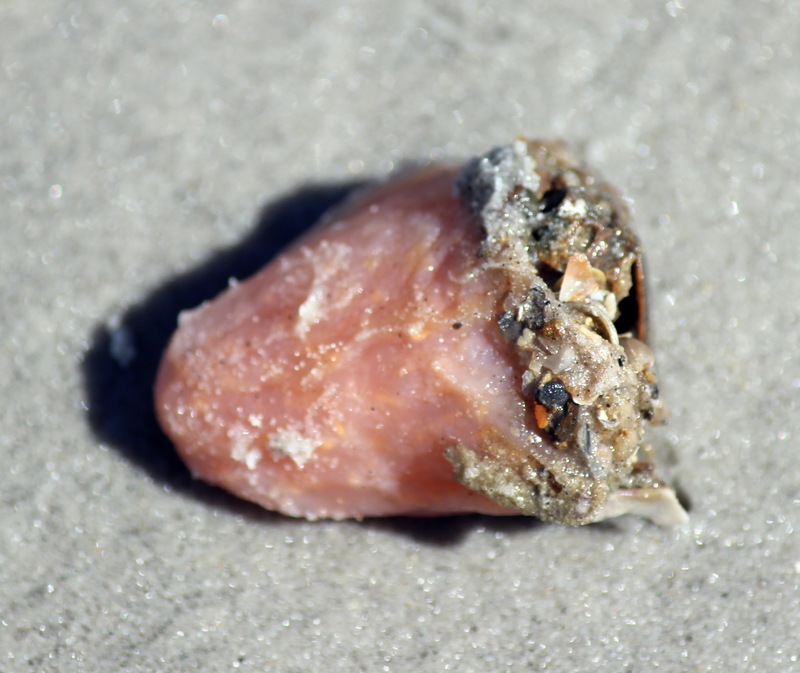 …and part of a pinkish squishy tunicate (Sea Pork?) that we thought at first might be a human tongue.